September is when the autumn equinox happens; when the days and nights are of equal length and the heat of summer is left in the past. As the cooler temperatures approach, it’s time to prepare your lawn for winter and the upcoming spring. The following fall checklist for will be your guide for preparing your lawn for autumn. Understand that your garden, lawn, trees, and shrubs will be making their own preparations for winter by absorbing plenty of moisture and nutrients for energy. Your lawn will naturally grow at a reduced pace as the cold temperatures set in. That doesn’t mean that you shouldn’t pay as much attention to it though. Here’s more on how to prepare your lawn for the winter and bring it back to life in the spring. Mow and Water Schedule – Make sure you mow your lawn on a regular basis. Lower the blade on the lawn mower gradually through the season. The blade should be set as low as possible for the final cut of fall. 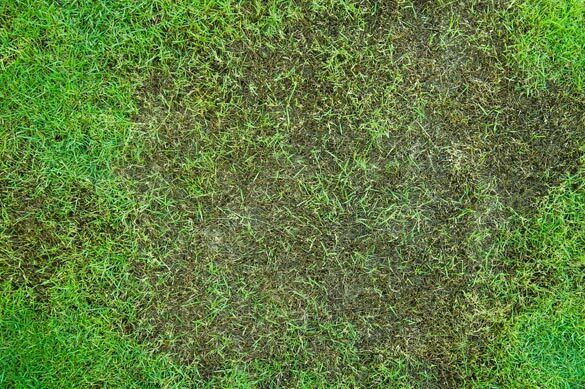 Note: keeping the grass low like this means that more sunlight will reach the crown of the grass to minimize browning during the seasonal change. 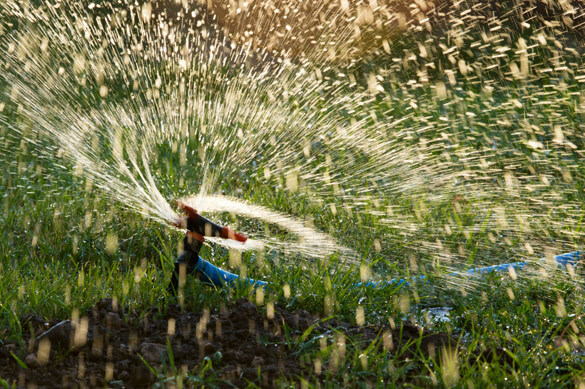 As temperatures cool, your lawn will require less water. Gradually reduce how much water you give your lawn before stopping entirely as the freezing temperatures kick in. Treat Burn and Bald Spots – The start of fall is the best time to address the bald and “burned” spots of your lawn. Many garden centers offer seed mixtures that contain seeds, fertilizers, and mulch. This is the best way to fill the lawn in. Simply remove the dead and dying grass from the burned spot and loosen the topsoil of the spot by raking about an inch into the ground. Fill this area with half an inch of the seed mixture and compact it. Water the area thoroughly and then water it every other day until the grass fills the spot. This can take between two and three weeks in all. Aerate the Soil – As the fall starts, aerating the soil allows or oxygen, water, and fertilizer to better reach the root system of your lawn. Aerating reverses natural compacting of soil, allowing the roots to grow and spread evenly. Read this article for more tips on why, how, and the tools needed to aerate your yard. 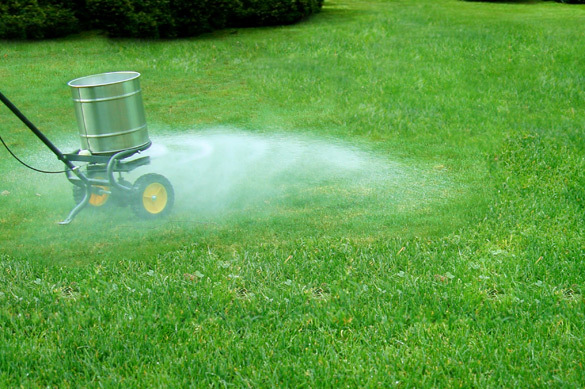 Planting and Fertilizing – Have you ever wondered how some people keep their grass green all year through? It’s not some magical fertilizer; but rather two grass breeds. The Bermuda grass species works well during summer while Fescue grass is strong in winter. As the fall starts, it’s time to plant more fescue than Bermuda. As the fescue starts to grow, the Bermuda grass enters its winter dormant state. Make sure you use a light mulch when seeding to prevent birds from eating your lawn before it sprouts. The best time to fertilize fescue is the middle of September. Use 2.5 – 3 pounds of nitrogen per thousand square feet per year. Bermuda fertilization should be done after over seeding. Fertilize Bermuda by using one half-pound of nitrogen per thousand square feet around six months before first frost. Note that using a walk behind drop spreader offers a more even distribution of your fertilizer. 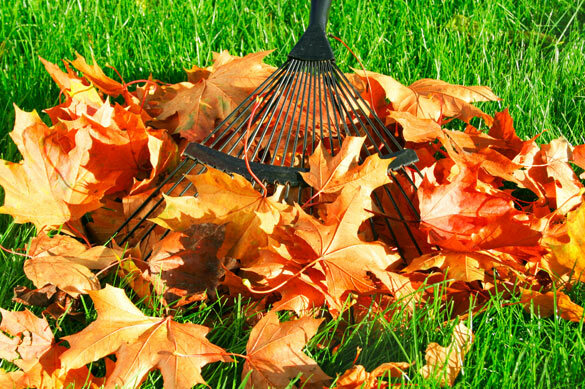 Leaf Raking – Any leaves that fall from deciduous trees should be raked – as these leaves contain a chemical that causes decomposition. Rain soaks through leaves as they pile up, compacting them and creating an impregnable sheet. If left alone, it allows for the growth of fungi and bacteria, which represent even greater risks for your lawn. Rake leaves as they fall and add them to a compost pile. If you have a lot of trees that are shedding leaves, then using a vacuum system or a lawn mower with a collection bag is a good choice. Fall Weed Control – The middle of September is the best time to apply pre-emergent formulas to your lawn with Bermuda grass. It’s also the ideal time for herbicides. Remember that your plants and weeds alike are fighting to gather all the moisture, nutrients, and energy that they can before winter sets in. Weeds will soak up the herbicide, killing them and preventing them from returning in spring. Taking proper care of your lawn in the fall almost guarantees that it will be beautiful and resilient for the upcoming spring and summer. 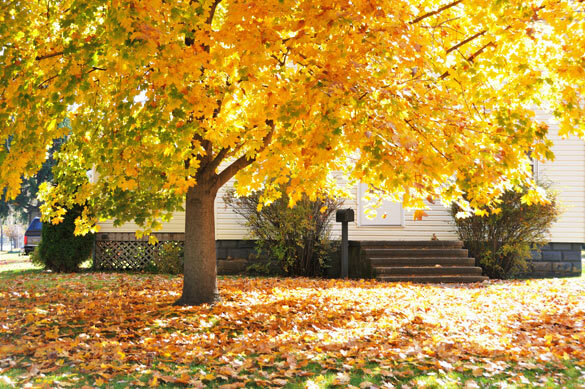 Fall is also the ideal time to arrange for an arborist to inspect the health of trees and shrubs on your landscape. Another way to keep your lawn healthy is by identifying and removing diseased and troubled trees. Keeping a lawn healthy lays the foundation for a nourishing ecosystem that keeps plants, shrubs, and trees healthy. 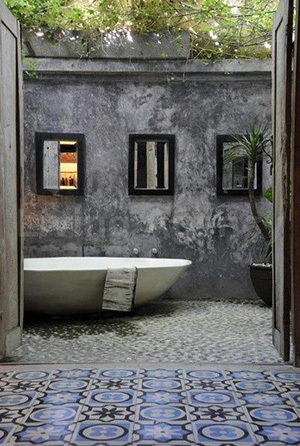 Go to www.todayshomeowner.com/september-lawn-garden-to-do-list/ for additional September to-do’s. 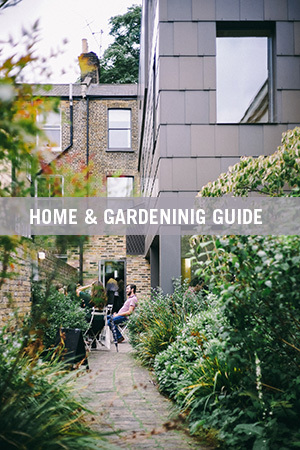 Visit www.homeandgardeningguide.com/gardening-landscaping/lawn-care/ for more lawn care articles, resources and how-to tips.